We have Bela and Spencer of the blog Tiny Migrations on the show this week. When I first found their blog, I was immediately drawn in. They live in the most beautiful, idyllic tiny home I’ve ever seen tucked in the Santa Cruz mountains. But aside for the beautiful design, what sucked me in was their lifestyle choices. They look at life as a big, beautiful experiment. Their story starts just like so many stories: they were stuck in a city paying a lot in rent. But rather than staying in that story, they changed. Before a trip to Spain, they sold their belongings and moved out of their rental home. Then, they Airbnb-ed, house-sat, and rented a home short term while expecting their baby to be born. AND THEN – and this is where I was totally blown away – they used their parental leave to rent an apartment in Mexico. With a newborn! What an amazing experience. When they returned to the Bay Area they decided that rather than get stuck with an expensive 30-year mortgage, they wanted to do something different. They built a gorgeous tiny home and are dreaming up even bigger and better things. They have so much energy and positivity. 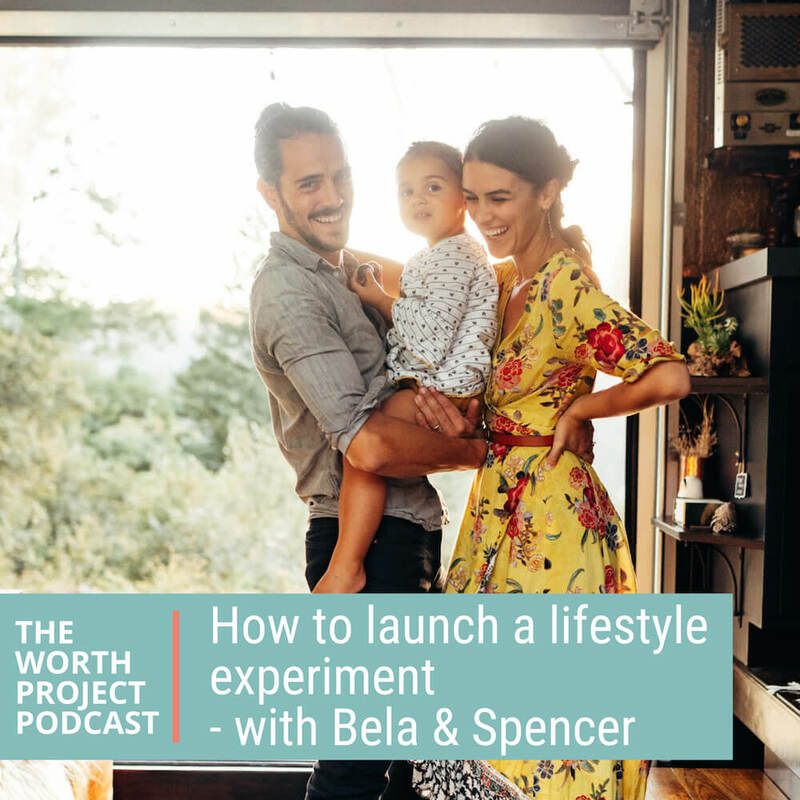 They didn’t like the options in front of them so they embraced lifestyle experiments to live differently. The very thoughtful way they think through risks – their stress test method. We’re going to adopt this one. You can keep up with Bela and Spencer through their blog, Tiny Migrations, on Instagram, and you can rent their gorgeous home on Airbnb. They also welcome questions and advice on tiny home design and living. They are all about paying it forward. Thanks for listening! Please rate, review, and subscribe so we can improve our podcasting street cred to entice more amazing people to interview. Your reviews help us improve the show as we like to listen to money stories as much as we like to chat about money stories. ← What if you had the freedom to tell a terrible client to take a hike?